It's tough to imagine there's a college degree program out there that will set you on track to lead the sort of life Anthony Bourdain did. The globe-trotting celebrity ex-cook, who died of suicide in June, inspired many of us to squeeze the most out of our own time on this Earth by traveling, exploring, and eating with an open and curious mind. And while you may not be able to major in "Bourdain" just yet, his life and work is now officially the subject of a dedicated college course. 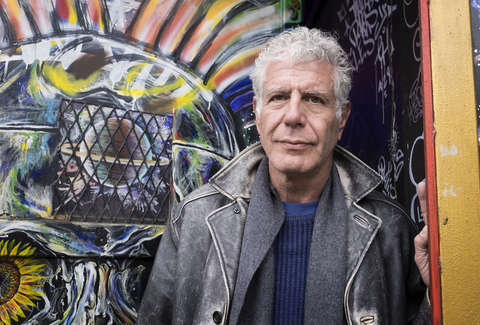 The class, which will be offered in the 2019 Spring semester at Nicholls State University in Thibodaux, Louisiana, will look at Bourdain's influence on food writing, travel writing, and television by considering the creative works that helped shape his view of the world, according to Professor Todd Kennedy, who'll be teaching it. Dubbed "English 475: Anthony Bourdain and His Influencers," it pairs Bourdain's work with the writings and films that influenced him, "connecting ways of understanding the world around us through the lens of a transformative writer and public figure," per the course description Kennedy posted to Twitter. Kennedy found himself mulling over the thought of a Bourdain-focused course in the wake of his untimely passing. "I've always enjoyed his shows. I wasn't obsessed per se, but after he died it affected me more than I thought it would," he said in an interview with USA Today. "I thought about how original he was putting together literature, film, travel and food. In my profession, we look to see how these things come together in culture. I thought it would be a good idea for a class." According to Kennedy, the department chair almost immediately approved his pitch to teach such a class. The film studies course will also satisfy some English class credits, and will be open to other students as an elective as well. However, either way, you need to be enrolled in the University to be eligible to take the class. Though, if you're willing to go through the trouble of applying, the good news is NSU has a relatively generous acceptance rate of 83% according to Cappex.com.